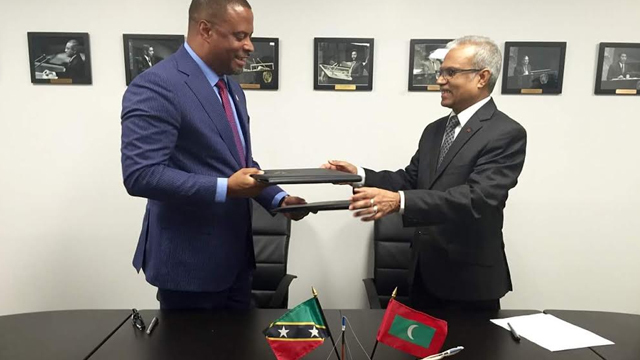 THG News (Sept. 26, 2016) –The twin island nation of St. Kitts-Nevis has now established diplomatic relations with The Republic of Maldives, the Dominican Republic and Kenya and has entered into a formal visa waiver agreement with Ukraine. 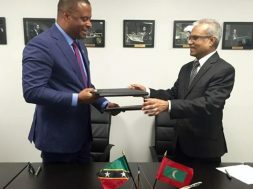 “Our major industry is tourism and we intend to make St. Kitts and Nevis as accessible as possible to those who would wish to visit,” he said, adding that “Diplomacy is ultimately best served when there is people to people contact. That way, we learn about other cultures, other languages, other ways of life. In so doing, we foster a better world”. 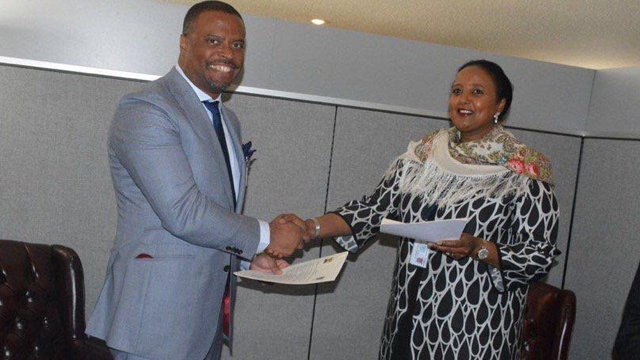 In explaining the purpose of establishing diplomatic relations with The Republic of Maldives, Dominican Republic and Kenya, and entering into a formal visa waiver agreement with Ukraine, Min. Brantley stressed that such decisions are “part of a steady and deliberate policy” of the tripartite coalition Government of St. Kitts and Nevis, known as Team UNITY. Minister Brantley’s meetings took place in New York where he represented St. Kitts-Nevis in his capacity as Minister of Foreign Affairs. THG News understands that Nevis’ Premier, Hon. 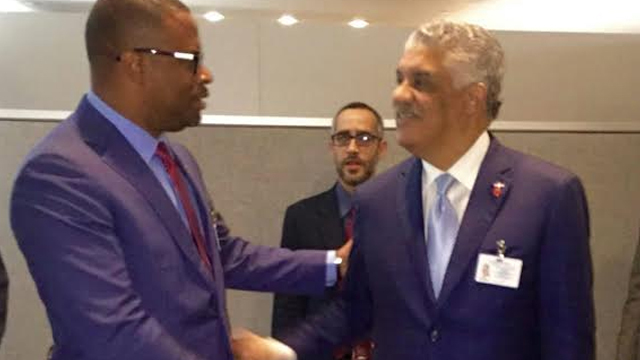 Vance Amory, who is also a member of the Cabinet of the St. Kitts and Nevis Government, also traveled to New York. On the weekend, there was talk on social media which suggested that Amory and Brantley attended the same meetings in New York. Although that information is unconfirmed, it sparked talk about the government’s spending habits in presumably allowing two senior ministers, particularly the top two government officials on Nevis, to be away from the country at the same time. Up to press time, THG News was unable to speak with Premier Amory to ascertain the reason for his trip.